Expanding upon our wildly successful 2018 Yoga Guru Series, we are excited to announce our 2019 Living Well Guru Series that will bring acclaimed yoga, fitness, & culinary gurus to Kukui`ula in a series of four-day experiences that will be offered throughout the year. 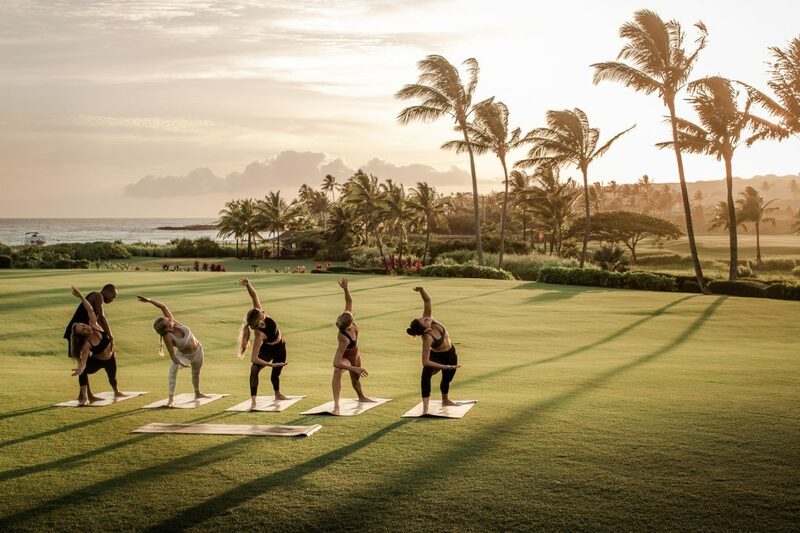 As Kauai continues to grow as a wellness destination, the program is aimed at offering a rejuvenating and restorative experience to enrich the lives of all who participate. “We are always aspiring to evolve our programming to meet and exceed guest and member expectations,” says General Manager at the Club at Kukui’ula, Nicholas Gold. “‘The Living Well Guru Series’ embodies the culture and ethos of Kukui’ula. We take pride in our various wellness offerings at Kukui’ula—from land to sea activities to The Upcountry Farm—encouraging guests and members to embrace our Hawaiian culture and cultivate the practice of “malama” (Hawaiian for nurture, tend or to take care of) in their everyday lives. We will be kicking off this years Living well Guru Series by welcoming Donny Starkins back to Kukui`ula. Donny is a retired athlete, international yoga instructor, lululemon athletica ambassador and mindfulness teacher. A former Division 1 baseball player, Donny’s yoga journey started in 2005 as he searched for pain relief after seven knee operations. Today, Donny is one of the most dynamic leaders in the yoga industry. 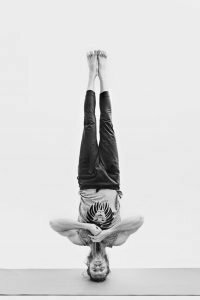 He leads classes, festivals and seminars internationally, incorporating asana and self-love with clear energy and authentic belief in the power of yoga. He is the official yoga instructor for the Phoenix Suns and educates other professional athletes in the teachings of yoga and mindfulness. Donny is a brand ambassador for some of today’s leading yoga brands including lululemon athletica and Spiritual Gangster. View the detailed schedule of classes Donny will be leading for our 2019 Living Well Guru Series here. An honors graduate of the Culinary Institute of America, Puerto Rico’s Chef Juan José Cuevas commenced his culinary career in 1995 at the Michelin three-star restaurant Arkelare in San Sebastián, Spain. He returned stateside to work at The Dining Room at the Ritz-Carlton, San Francisco as poissonnier, entremetier, and saucier under the internationally renowned Chef Sylvain Portay then advanced to the position of Chef de Partie under Tracy Jardin at the celebrated Jardinière Restaurant. He continued his swift culinary ascent: serving as Sous-Chef-de Cuisine under Christian Delouvrier at Lespinasse. During his two-year tenure, the restaurant received the city’s highest culinary accolade—a four-star rating from The New York Times. Following this success, Chef Cuevas then joined creative forces with Chef Dan Barber at the iconic Blue Hill Restaurant at Stone Farms where the pairing of Cuevas’ culinary ingenuity and Barber’s passion for farm-to-table locavorism earned the duo widespread international recognition. During their four-year collaboration, Blue Hill was awarded a three-star rating by The New York Times —in addition to receiving a Michelin star. Today Chef Juan José Cuevas has returned to his homeland of Puerto Rico as Executive Chef at 1919: the flagship restaurant at the new Condado Vanderbilt Hotel. Ashley Guarrasi is a Nike master trainer specializing in functional movement & boxing fitness. She is currently based in Los Angeles, CA. Ashley previously worked for Rumble Boxing in New York City as a Founding Trainer & Creative Director. Formerly, she had an established residency at the Equinox West Hollywood gym training celebrity clientele. Over the past ten years she carved a niche for herself within the boxing fitness community. Ashley has competed in Amateur Boxing and training as well as teaching Group Fitness Events around the country. She has also worked with non-profit organizations such as; The Ruby Project, which helps support young women and teens who have survived abuse and trauma, as well as the House of Ruth in Los Angeles. She has also been featured in national commercials and worldwide campaigns for both major sports + fitness brands & tech companies such as; Apple. Inc., Nike Inc. & Beats By Dre. Ashley’s mission is to INSPIRE and EMPOWER others by sharing her passion for health and fitness. Join Ashley this June to experience a full body workout for all levels. She will be mixing cardio, core, body weight strength training, and some boxing that can be tailored to a beginner level or intensified for a more advanced level workout. We are thrilled to welcome the passionate and inspirational, Ryan Leier back to Kukui`ula this November! Ryan is an esteemed wellness leader and a global ambassador for lululemon athletica. Whether in his own One Yoga studios or as an ambassador of yoga to communities around the world. With a distinct expression of ancient traditions that touches his students’ hearts, Ryan’s commitment to honoring his teachers leads him to be equally devoted to continuing his studies as to teaching. Drawing profound inspiration from his daughters, Kiyah and Thora Grace, Ryan created Vinyasa Yoga for Youth, an innovative non-profit organization designed to meet the physical, mental and spiritual needs of youth ages 5 to 22 through the empowering practice of yoga. Ryan’s dedication to connecting with his community has also led to his role as a global ambassador for lululemon athletica. The Lodge at Kukui’ula offers luxury vacation homes which are available for rent by non-members. Each luxury home boasts beautiful indoor-outdoor lanais with breathtaking views, gourmet kitchens, and outdoor garden showers all conveniently located steps from The Clubhouse. Guests of The Lodge at Kukui’ula have unlimited access to the full host of Kukui’ula’s resort amenities including The Clubhouse, The Hi`ilani Spa, The Farm and The Huaka`i Guides island adventure program.